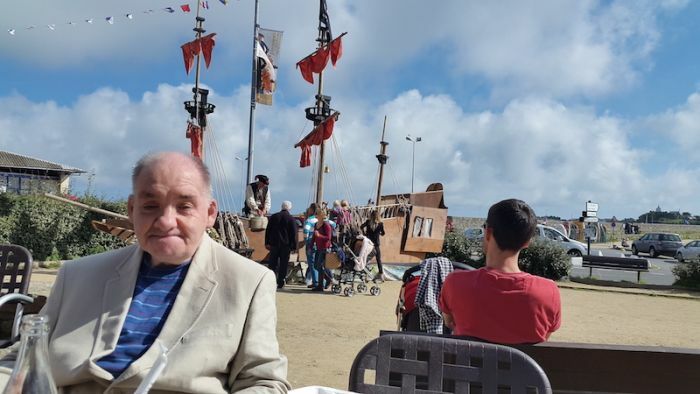 A Plymouth man with mild learning difficulties has fulfilled a lifetime ambition to travel to France on a ferry. Leon Gough, 59, who lives at the Victoria and Grenville residential care service in Restormel Road, made the trip with a support worker. The pair travelled overnight with Brittany Ferries to Roscoff and spent a further two days in the North Finistère town. “Leon was so excited about this trip,” said Donna West, manager of the service, run by award-winning care provider Regard. The service prepared him for the journey by looking at maps and pictures of France and the different kinds of food and drink he would encounter. Leon made the seven-hour ferry journey from Plymouth to Roscoff with support worker Abigail Stansfield. “He loved standing and looking out of the window on the boat. You could tell by his face he was enjoying every moment,” she said. Leon stayed in Roscoff old town at the Hotel aux Tamaris which is on the seafront with views of the sea and towards Batz Island. The trip coincided with an annual festival in the town which included street entertainment and a fireworks display. “Leon sampled some of the gorgeous local cider and wines and although he’s not an adventurous diner, he did try a typical French sausage! “He really liked looking around the shops and at the boats in the harbour and generally soaking up the atmosphere of this pretty little town. Leon bought home a box of biscuits for his housemates in Plymouth and a present for his 90-year-old mother in the local market. When he’s not ‘sailing the high seas’ Leon works two days a week at the Hands2gether community ceramic and arts project in Plymouth. He mixes the pottery mix for the service users and also up-cycles furniture to create ‘shabby chic’ items for sale. 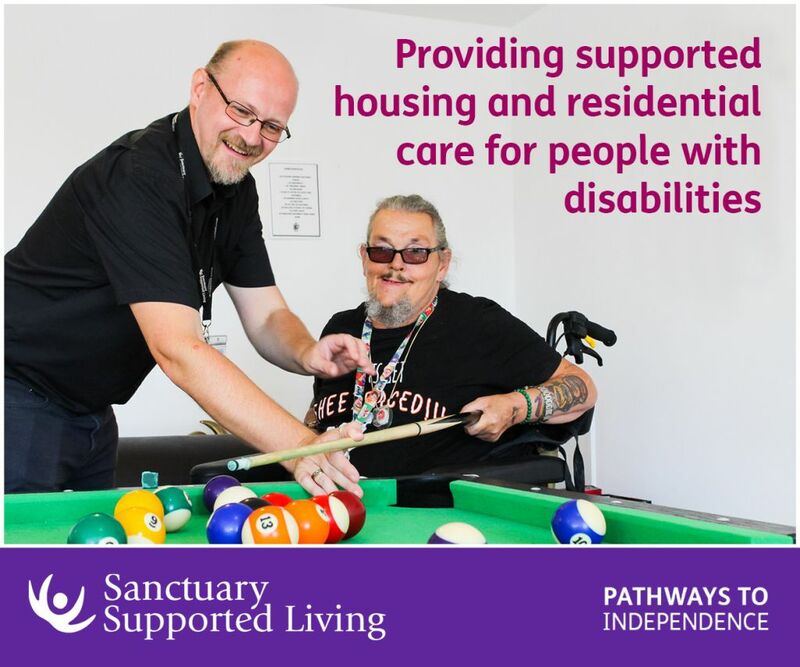 Victoria and Grenville supports adults with a learning disability, dementia, mental health issues, challenging behaviour and Autistic Spectrum Disorder. The Regard Group, which runs the service, has recently attained the Gold Standard at Investors In People, one of only four organisations out of 17,500 in the sector to achieve the standard. Be the first to comment on "Leon broadens his horizons"